Slated for beautiful finishes throughout. 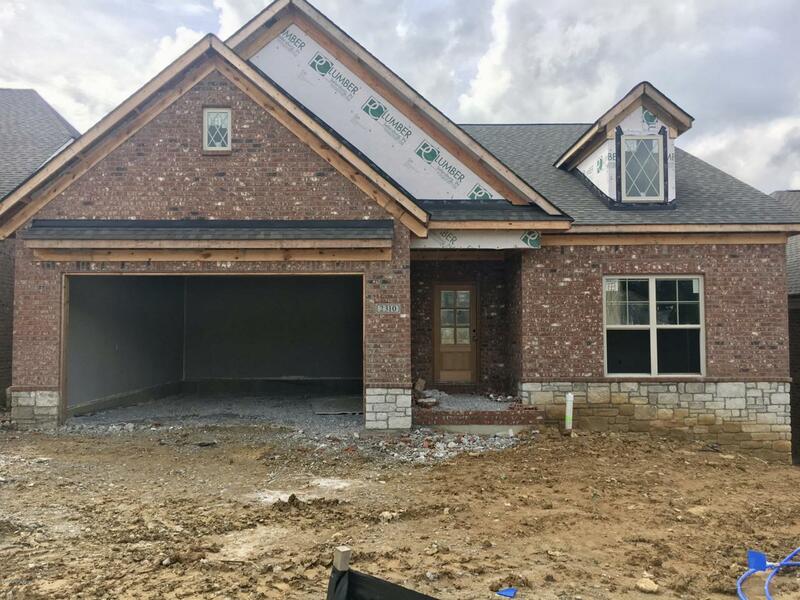 Hardwood floors, eat in kitchen with custom cabinetry, granite countertops, stainless steel appliance package(doesn't include refrigerator), & tile backsplash. Great room with corner gas fireplace, 12 ft. ceilings, wall of windows, open to the kitchen. Master bedroom with a 9 ft. hip vaulted ceiling, en suite bathroom with large tiled shower, double vanity, private toilet, and large walking closet that also open up to the laundry room. The other 2 bedrooms will share a hall bath. There is also an e space/cubby room perfect for a computer nook. Outside you will find a covered deck with a patio under neath for outdoor entertaining.